No detail was overlooked in this completely renovated five-bedroom courtyard pool home in the heart of Wellington. Nestled on a 3/4 acre fenced lot, the property consists of a main house (4 Bedroom/2 Bath), a courtyard pool, gazebo, as well as separate detached guest cottage (1 Bedroom/1 Bath). 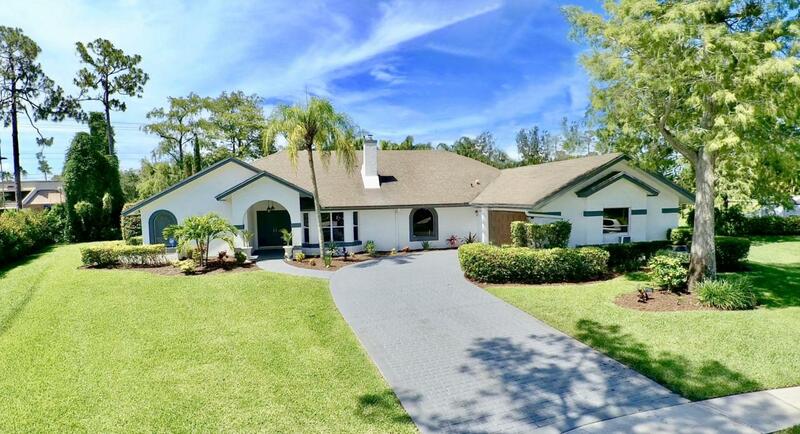 Upgrades include: Hard Surface flooring throughout home (Porcelain tile in Family Room and Kitchen, and Hardwood in all of the bedrooms); Kitchen features all new appliances and granite countertops with a pass through to the outside patio area; Updated A/C and tankless water heater in 2017. Refinished Pool and Patio area, with brand new misting system. Updated shelving in Master Bedroom closets, as well as built in storage solutions in garage. No HOA fees, and grade A schools.